It's been a bit hectic over the last few months. So much so that I have not had any time to keep my blog updated. I'm hoping this will change soon, as I should have some exciting updates on my android game developments. This post if just a quick reminder for anyone that uses OneDrive. 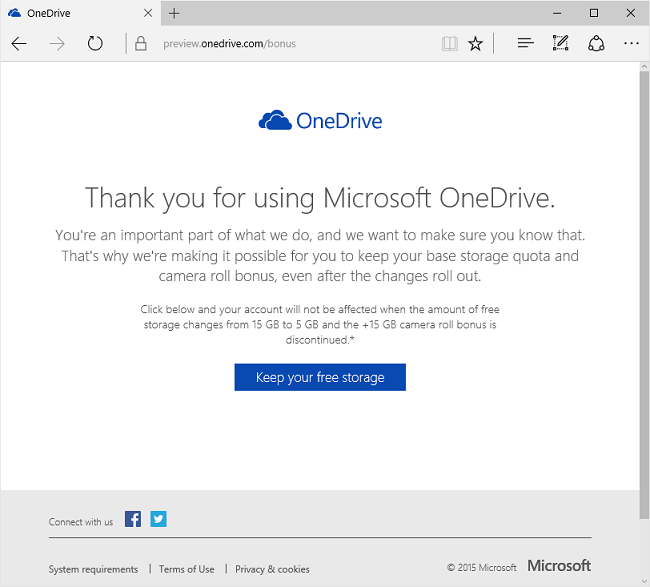 Microsoft have decided to restrict your OneDrive storage from 15 to 5 Gigabyte. You can stop this happening if you opt-in to keep the 15 Gigabyte by heading over to the onedrive url below. This offer is valid until the end of January.